Welcome to the generation of cognitive healthcare. Today, the healthcare industry provides services that were once considered impossible. Moreover, cognitive software development is giving it a much-needed boost. Experts suggest this technology will solve problems by mimicking the way the human brain works. Essentially, cognitive computing works in exactly the same way as predictive analytics. It analyzes patient data, indicates results, and suggests a defined course of action. The development of this software creates a new partnership between human beings and technology. Additionally, cognitive software development will dramatically alter how healthcare is conceived, delivered, and managed in the future. However, patients stand to benefit the most. Let’s take a look at five ways that cognitive healthcare will benefit patients. If you wear a personal fitness tracker, you generate a large amount of personal health-related data on a daily basis. Unfortunately, much of this information is underutilized and most people do not even know how to access the data. Patients realize that their electronic devices help them with their day-to-day lives. A health coach that is neither disruptive nor burdensome and highly personalized is the ultimate expression of the consumer experience. An AI avatar can provide this. Cognitive computing also enables researchers to uncover new insights in relationships among genes, proteins, pathways, phenotypes, and diseases. The future of healthcare continues to focus on giving individuals a complete picture of what affects their health. For example, a real-time analysis allows doctors to make informed decisions at a moments notice. At the same time, they are also providing patients greater control over their own care. With the help of cognitive software development, doctors can identify the most critical attributes of a patient case. This allows them to provide uncomplicated reports for both patients and healthcare providers. Artificial intelligence is technology that uses reasoning, natural language processing, machine learning, and even human interaction through speech and vision interactions. What makes cognitive computing systems so smart is that they evaluate patterns from data and get better with each use. The goal is for systems to be able to anticipate problems and behavior, offering suggestions and solutions before an issue occurs. As a result, it notifies the doctor of any patterns that may suggest intervention. Patients are looking for the best medicine from the best provider. Could cognitive healthcare be the answer? If healthcare professionals had access to world-class doctors and their expertise, it could make all the difference in the overall healthcare of their patients. For example, they could identify life-changing clinical trials perfect for their patients. This cognitive technology has the potential to change the way patients look at their health plans. It combines the best of data analytics with patients and clinical research. The result is an extensive list of healthcare resources from which to choose. Cognitive software development helps support emerging value-based care models. It collects information at each step of the patient lifecycle then provides analytics to help improve decision-making and execution. Cognitive software development is helping patients expand their knowledge, improve their productivity and deepen their expertise in their own healthcare. The goal of cognitive healthcare is to create automated information technology systems capable of solving problems without requiring human assistance. 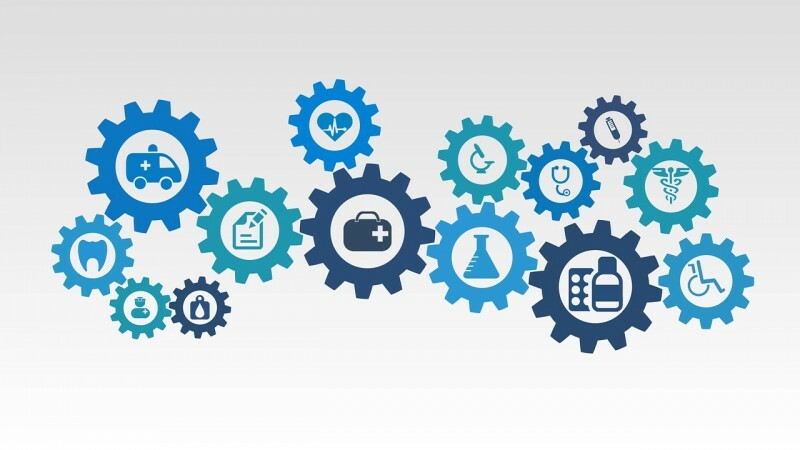 Big names in technology including IBM, Microsoft, and Google have made significant investments in finding healthcare uses for cognitive software development and providing a platform for various startup firms that create specialized applications. As the population in the United States ages, cognitive software development continues to attract growing attention from established healthcare providers and startup companies seeking to create new software products. Currently, healthcare is based on a one-size-fits-all method; however, new cognitive healthcare systems are changing that. For instance, by incorporating more information about individual patients, medical professionals draft personalized programs for their patients. Cognitive software offers a more individualized path for medical decisions. Like the human mind, a cognitive healthcare system makes judgments based on its ability to collect and recognize information. As a result, traditional health data, such as laboratory reports and clinical notes can now be gathered and assessed. At Ayoka, we help companies apply software to meet complex clinical initiatives. If you’re ready to take your medical software to the next level, contact us today at 817-210-4042.